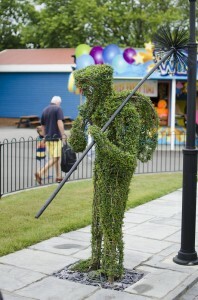 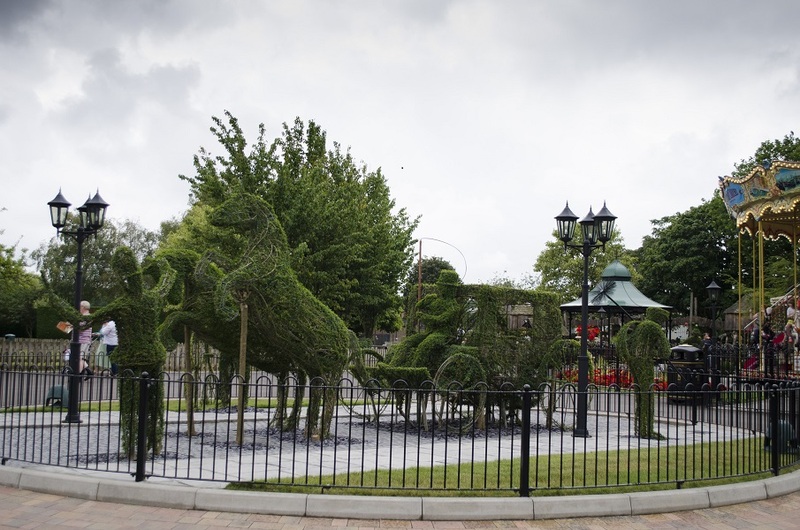 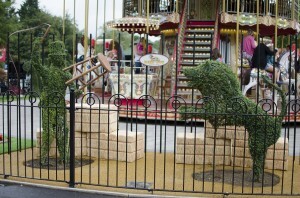 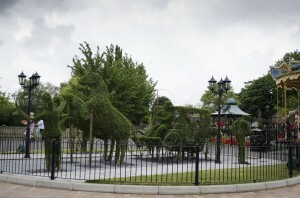 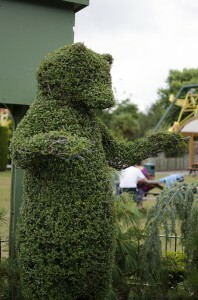 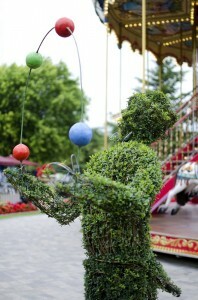 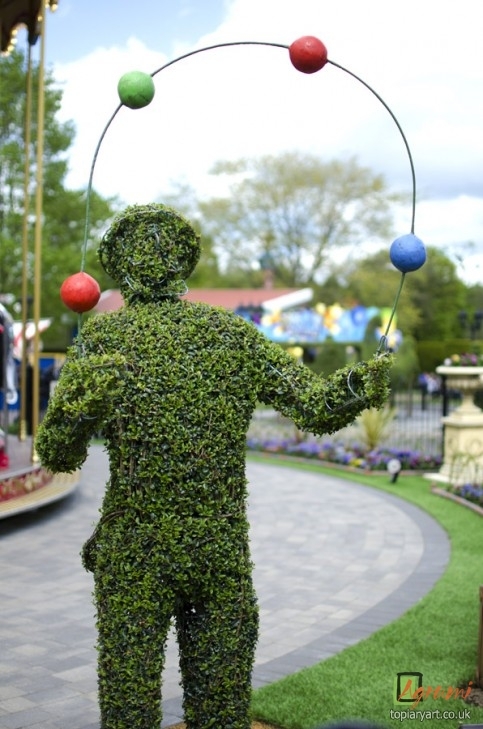 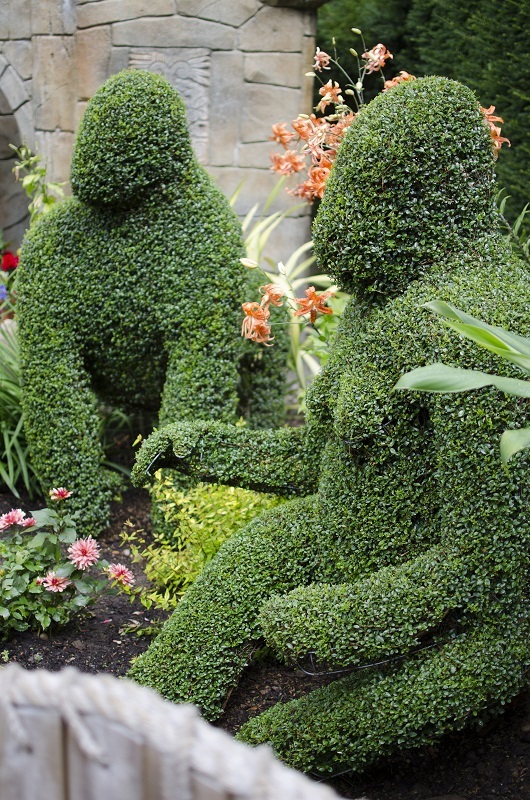 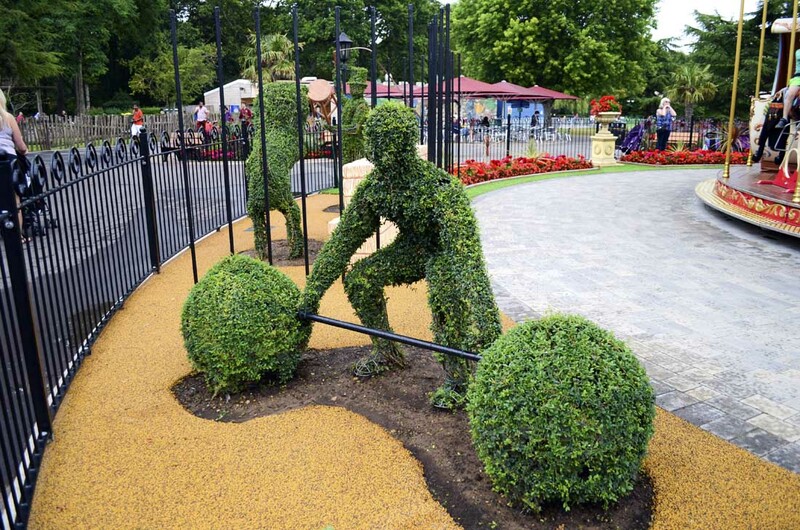 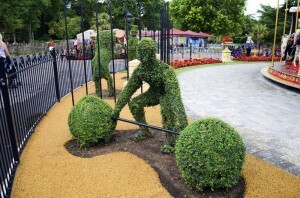 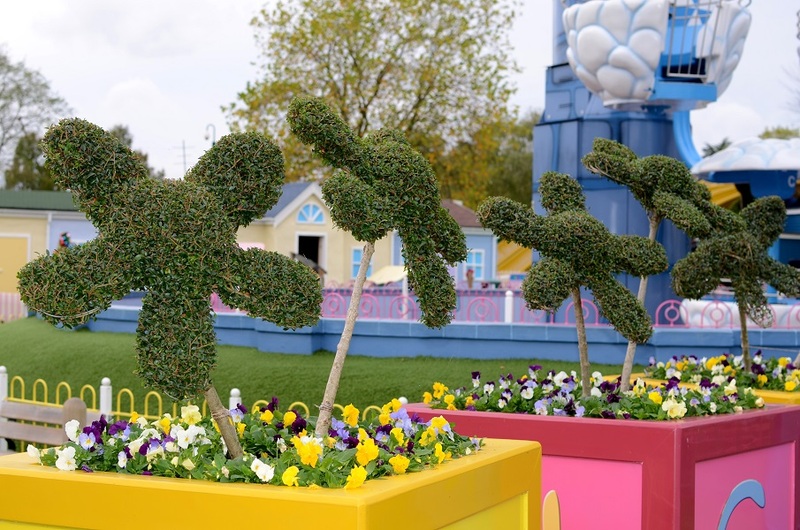 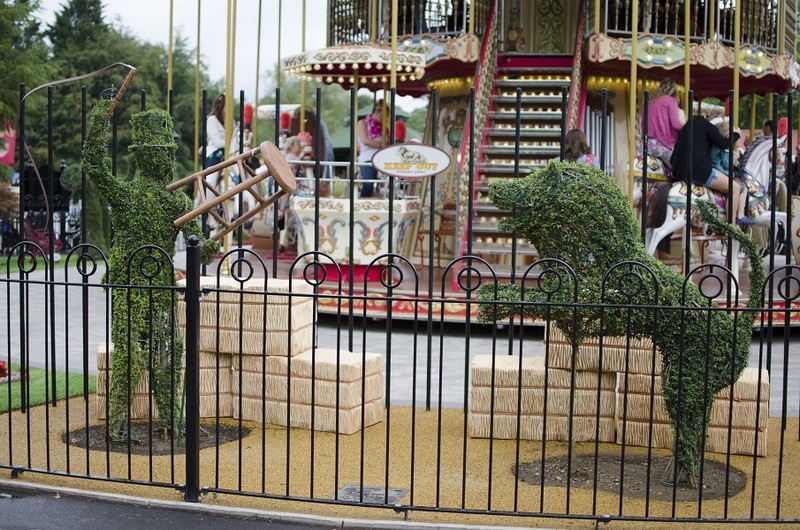 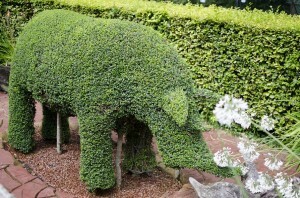 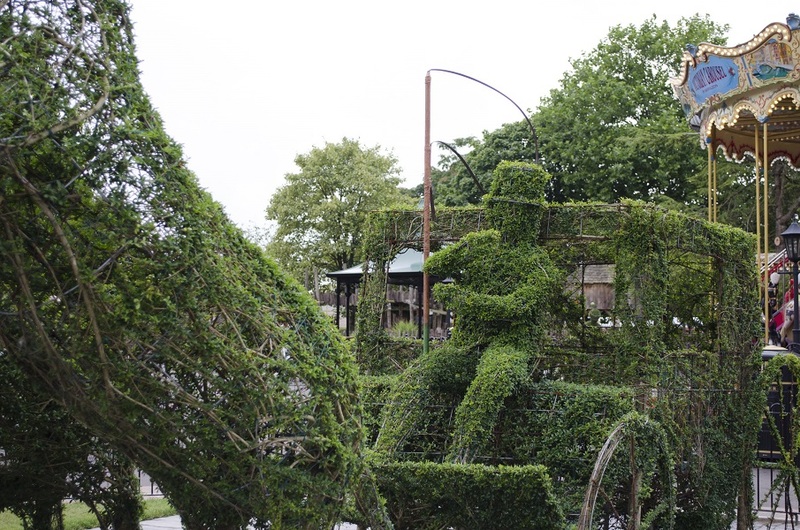 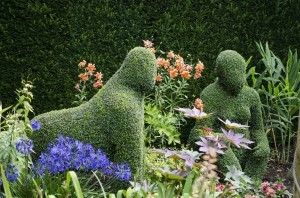 Paultons Park, the family theme park in Hampshire, first asked Agrumi to supply bespoke topiary in 2010. 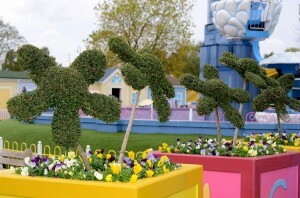 Since then we’ve made yearly additions to the park’s rides and gardens. Our sculptures have been a big hit with Paultons’ visitors – appreciated by adults and children alike for their sense of fun. 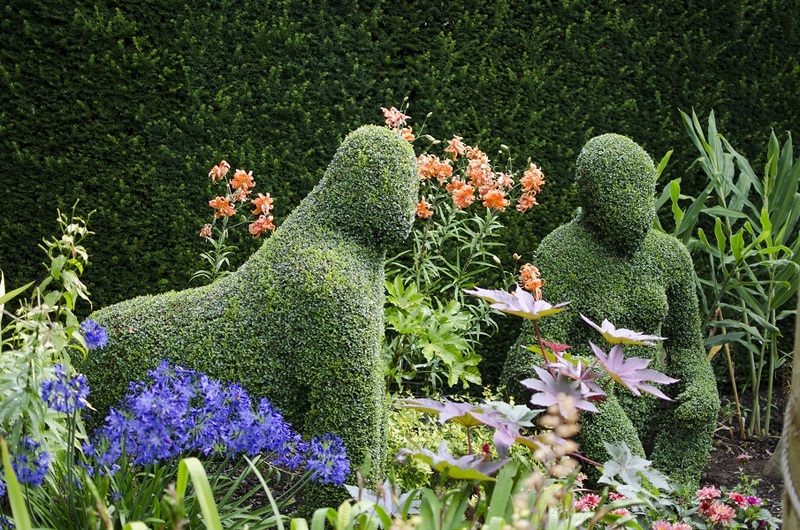 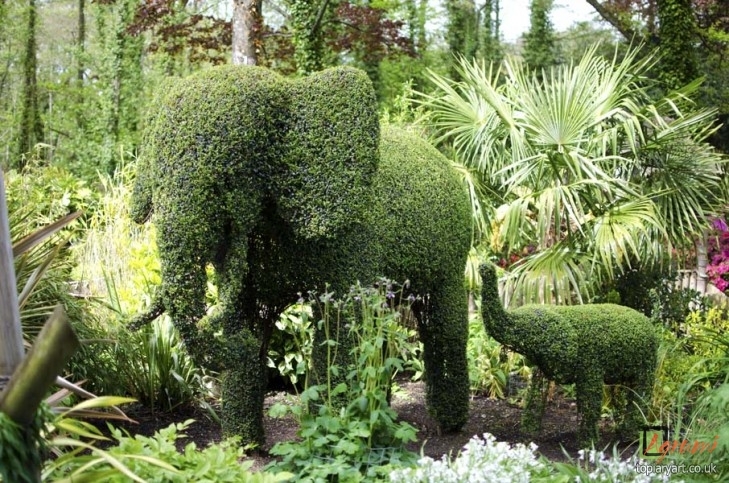 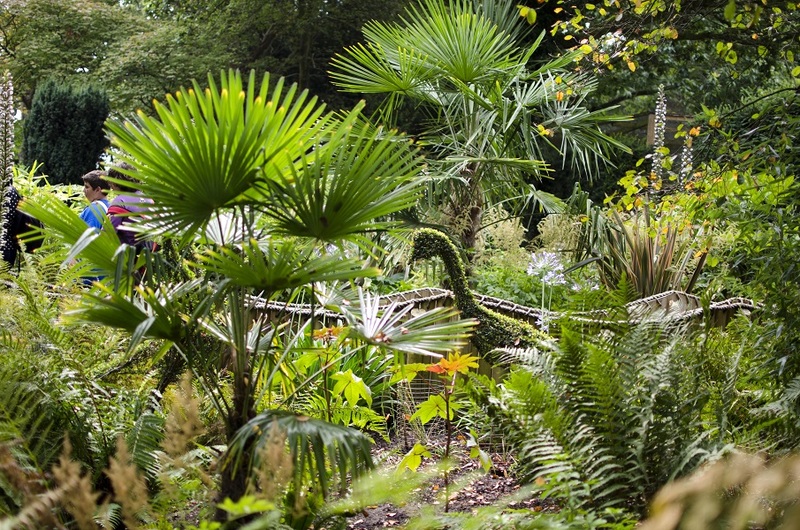 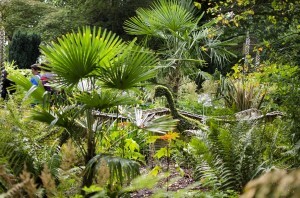 Paultons’ Jungle Falls gardens are now home to a magnificent topiary rhino, a family of gorillas, a pair of African cranes, a life-size giraffe, an elephant with her baby, and a two and a half meter crocodile. 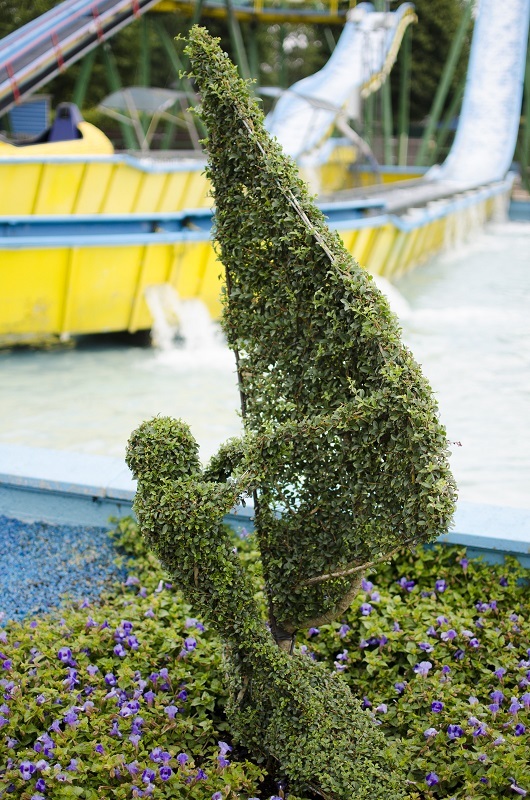 By the Cobra Ride is a towering topiary snake head, just along from a pair of stalking topiary Velociraptors, and minutes away from a pair of windsurfers accompanying the Raging River Ride. 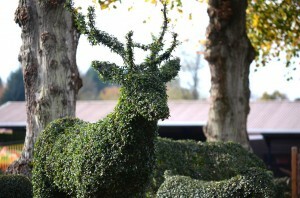 The Forest Friends area is home to a lifelike family of deer and numerous rabbits, hares, badgers and foxes. 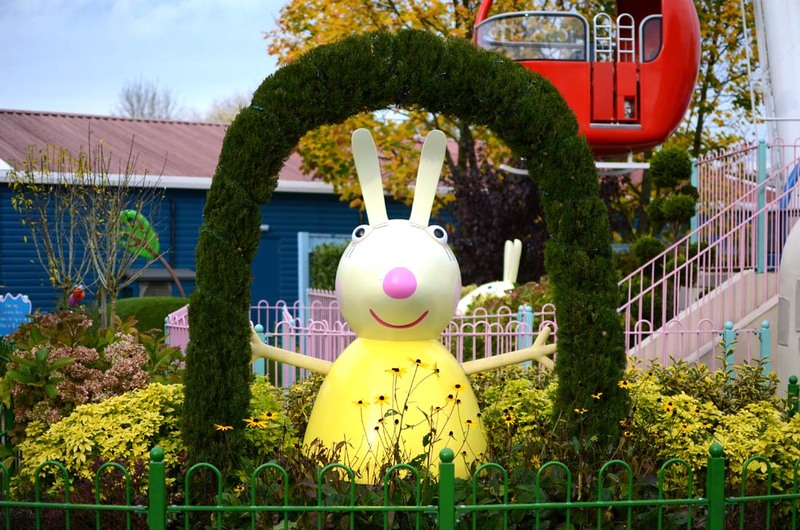 Peppa Pig World offers younger children entry into a magical land based on the muchloved television characters and Agrumi has supplied many of the sculptures in this area. Paultons’ most recent themed ride features a spectacular Victorian carousel, for which Agrumi supplied a huge range of circus characters in living topiary.